The United States Anti-Doping Agency (USADA) has formally accused multiple Tour de France champion Lance Armstrong of using anabolic steroids and human growth hormone (hGH). In addition to steroids and hGH, Armstrong is also accused of using banned corticosteroids and saline and plasma injections to mask the use of erythropoeitin (EPO). Lance Armstrong allegedly used the anabolic steroid Andriol. Andriol is the trade name for testosterone undecanoate. USADA alleged that Armstrong is one of multiple pro cyclists who used steroids while competing with the USPS and Discovery Channel professional cycling teams between the years 1998 and 2007. At least 10 riders have provided eyewitness accounts of performance-enhancing drug (PED) use at USPS and Discovery Channel pro teams. A specific mixture of Andriol (testosterone decanoate) and olive was formulated by Dr. Michele Ferrari for some riders including Armstrong. 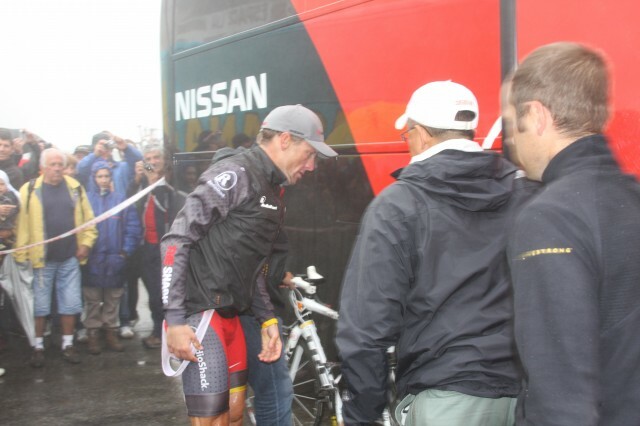 Other riders used testosterone patches and testosterone injections. USADA team director Johan Bruyneel, team trainer Pepe Marti and team doctors Dr. Luis del Moral, Pedro Celaya and Ferrari provided the steroids and human growth hormone (hGH) to cyclists according to USADA. The action against Lance Armstrong was not unexpected. After U.S. Attorney André Birotte Jr. decided to drop the federal government’s investigation of Armstrong, it opened the door to USADA to continue its pursuit of Armstrong. USADA was happy to oblige. USADA’s Travis Tygart promised to do whatever it takes to catch Lance Armstrong. And he wasn’t kidding..
“Clean athletes and those that value the integrity of sport can rest assured that USADA will leave no stone unturned to obtain the evidence to reveal the truth, whatever that truth may be in our investigation of the doping allegations in the sport of cycling,” said Tygart a few months ago. And now they think they’ve caught Lance Armstrong? But have they?